The word ‘carbohydrate’ has become increasingly controversial in recent years and because of negative coverage about it in the media, such as being the cause of diabetes, people started omitting carbohydrates from their diets. Guidelines in Singapore, however, recommend that we obtain our carbohydrates from 5-6 servings of whole grains*, which makes up half our total energy intake. This article will hopefully help you better understand carbohydrates by detailing its functions, source and health benefits. Carbohydrates are the primary and most efficient source of energy for humans. As one of the three macronutrients (besides protein and fat), we are encouraged to consume carbohydrates because of the vitamins, minerals and fibre available to us in carbohydrate-containing food sources. It is crucial to understand that not all carbohydrates are created equally and hence have been classified as ‘complex’ and ‘simple’ or ‘good’ and ‘bad’ respectively. However these terms not only cause confusion but are also inaccurate. ‘Whole’ and ‘refined’ are better descriptions for carbohydrates. Whole, unrefined carbohydrates tend to have a lower glycaemic index. In the case of whole grains, the grain still retains its germ and bran layer (the outer layer which gives red and brown rice their colour respectively). These two components of whole grain are where the vitamins (A and E), minerals (selenium and zinc) and fibre content are found, making them more nutritious than their refined counterpart, white rice. 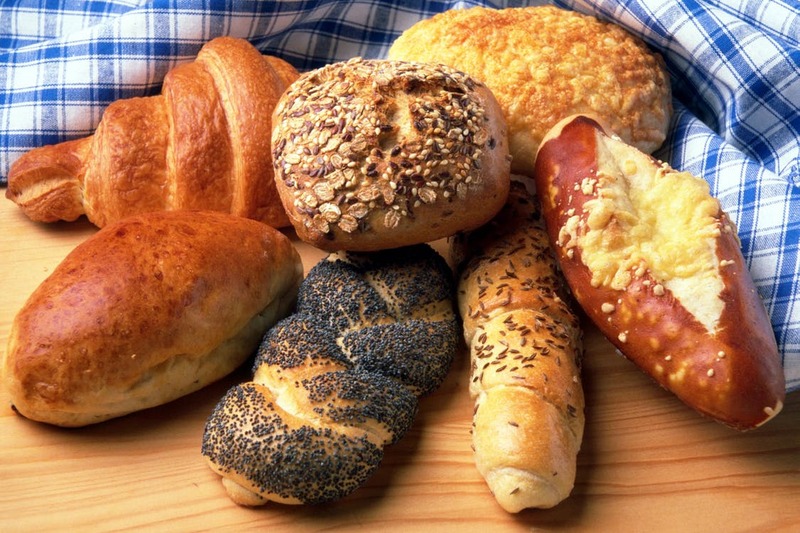 Refined carbohydrates refer to grains or any carbohydrate that has gone through any refining process which strips them of their nutrient content. Milling is a refining process whereby grains such as wheat and rice are stripped of their bran layer and germ, leaving behind its starchy endosperm which is the white rice and white flour which you see on the shelves of your supermarket. This essentially strips the grain of vitamins, minerals and, most importantly, fibre. The same applies to fruit that have been juiced. The juicing process removes most of the fruit’s fibre, leaving behind only the sugary liquid. Removing the bulk of the carbohydrate’s fibre increases the rate of its absorption through the intestinal wall, consequently causing a spike in blood glucose levels and a subsequent crash, resulting in more cravings and the food coma which we previously mentioned. This phenomenon has a correlation to the incidence of type-two diabetes. As refined carbohydrates empty the gastrointestinal tract relatively faster than whole grains, you would need to consume more of the said refined carbohydrate to feel fuller which results in consuming more calories than needed. Carbohydrates that fall under this category tend to have a higher glycaemic index. This includes brown rice, brown vermicelli, brown pasta, brown bread, oats, and the like. Whenever possible, always ask if they have these options available as opposed to refined carbohydrates like white rice. Adding these into your diet helps increase your fibre intake, magnesium and zinc. Selecting this alternative helps keep you fuller for longer, aiding in weight management. Tip: If you’re averse to the whole grain variety, you could substitute a portion of your refined grain for whole grain to ease yourself into its consumption instead of jumping into the deep end. Some is still better than none! Include more vegetables into your diet for a boost in your daily dose of vitamins, minerals and fibre and you can toss those vitamin supplements aside! Choose vegetables of different colours to experience the whole host of benefits they can provide. This is because vegetables with different colours often contain different vitamins and minerals which other varieties might not have. That said; try to ensure that half of your vegetable intake comes from green, yellow and orange coloured vegetables as they contain the essential nutrients which your body demands. In this case, sugar is to be avoided as much as possible because it is easy to consume too much sugar in the form of candy, coffees, teas, and juices which thus put you at a higher risk of weight gain. Not only that, these are ‘empty calories’ meaning that they do not confer any health and nutritional benefits. Instead, you could opt for a piece of fruit instead so satisfy your sugar cravings. Aim to have at least two servings of fruit a day. A single serving is a medium sized apple, orange, pear or a slice of papaya, watermelon or melon. The bottom line is to not avoid carbohydrates but instead, make wiser choices by choosing fibre-rich whole grain. Also, avoid sugar in sugar-laden beverages as they contribute to weight gain when not consumed in moderation. Choose fruit instead to satisfy your sugar cravings. By adhering to these, you should be treading the safe zone.